Sometimes you have the feeling of going around and round and round again. 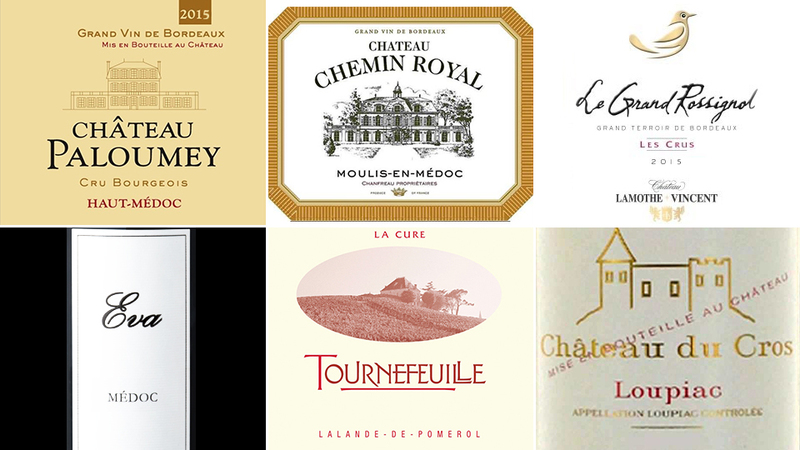 Having tasted the wines in barrel during primeur, I first reviewed the 2015 Bordeaux wines in bottle at the Cru Bourgeois tasting in London back in September last year, then at the Grand Cru Classé at the annual UGC tasting the following month. In January I spent two weeks re-tasting those same wines plus dozens more down at properties in Bordeaux, before joining HMS Vinous. Here, I offer 100-odd tasting notes with a promise to re-review, or in some cases, re-re-re-review the Grand Cru Classé and First Growths in the coming weeks. It’s like Groundhog Day. Stuck in a perpetual cycle of tasting 2015s, it sounds like a plotline of Black Mirror, though Charlie Brooker’s dystopian world would see me stuck forever re-tasting the worst of the 2013s. This article focuses on “affordable” Bordeaux. You could buy some of these with a twenty-dollar bill and still come home with change. It is my first report to offer Vinous readers my take on the 2015 vintage. In the coming weeks we will publish my reviews of the Grand Cru Classé and First Growths. Readers will be aware of my affection towards the Bordeaux 2015s. It was not that the 2015 growing season was textbook, rather that at crucial periods Mother Nature was benevolent when she could have been less kind. In the early part of the season, just when the lack of rain threatened a repeat of 2003, the heaven’s opened. Flowering was even despite a heat spike and then rainfall in July came just at the right moment, when vines might have shut down. The important month of August was dry and warm and then a warm southerly breeze that some winemakers likened to a hairdryer, dried the vineyards after mid-September storms, thereby reducing the risk of grey rot. Then there followed a clement, benign period so that the harvest could be conducted at a leisurely pace without being forced into a picking window by the prospect of a low depression coming in from the Atlantic. 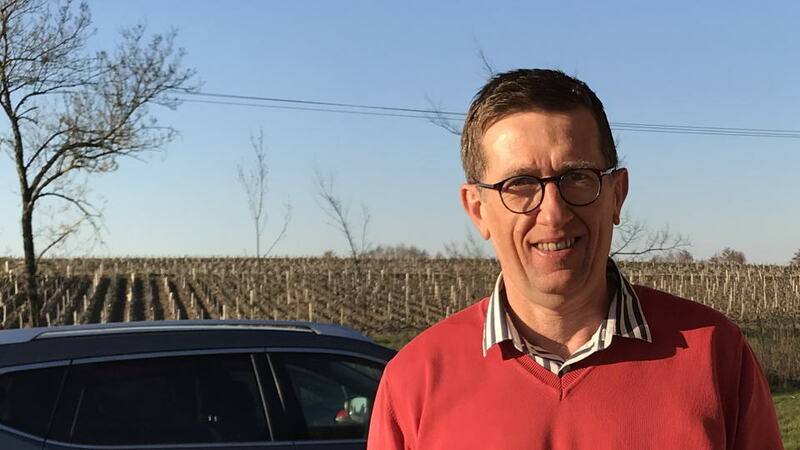 I tasted the wines in this article on a chilly Monday at the small laboratory of “Oenoconseil” on the fringe of Pauillac. Many will not recognize the name, though I bet nearly every visitor will have driven past their lab, located just after the level crossing as you head towards Pontet Canet. Oenoconseil is an important, what you might call “behind-the-scene” player in Bordeaux. Founded by four oenologues pooling their resources together in 1996, it has operated out of the spotlight yet serves a vital role analyzing samples for over 250 clients, from virtually unknown Petit Châteaux up and including First Growths. Testament to their discretion, I recently mentioned Oenoconseil to a technical director of a famous château. He had never heard of them and insisted they had never dealt with them until his maître-de-chai advised that they had used their services for many years. They are not unlike Jacques Boissenot, serving a vital role out of the limelight. In a brief but informative tour, one of its co-founders Antoine Medeville, showed me one of several hi-tech automated machines. They cost a six-figure sum of euros but repay their investment by analyzing over 150,000 samples each year to produce valuable data on pH levels, brettanomyces, IPT levels, SO2, in fact, everything you could possibly want to know about a wine’s physical and bio-chemical structure except its inside leg measurement. In many ways, Oenoconseil and wine writers examine the same subject from opposite sides: one purely analytical, scientific and objective, the other heuristic with fumbling poetry and prone to subjectivity. Where is the truth? Well, it probably lies somewhere in the middle. Oenoconseil does not operate as a consultancy aimed at improving wines like other oenologists whose name is a tacit seal of quality. They provide hard data and information and are not there to advise winemakers on what to do. It is their clients’ responsibility to interpret results and make decisions. Therefore, even in a benevolent vintage like 2015, it is fair to say that the results were varied. Certainly, there were wines here that highlighted the inconsistency of Bordeaux at the lower rungs of the hierarchy. Others were reminders that you don’t have to rummage around the top echelons of the Bordeaux hierarchy to find quality. To this end, I cherry-picked six wines that caught my attention and leave readers free to peruse the tasting notes. 2015 Château Paloumey – Trust me, having tasted this Haut-Médoc four times now. It is a great Cru Bourgeois that for around twenty-five dollars represents great value. Imported by Fruit of the Vines Inc.
2015 Château Chemin Royal – This tasting reminded me how good Listrac and Moulis performed in 2015. I could pick from several, but chose this cru that comes from the Moulis-en Médoc part of Château Fonréaud’s vines. Jean and Marie-Hélène Chanfreau, alongside Caroline Chanfreau-Philippon are now at the helm. Available through the Place de Bordeaux. 2015 La Grand Rossignol from Château Lamothe Vincent – A useful little Bordeaux Supérieur from their parcel of Merlot. Simply delicious! Imported by La Ville Imports, New York. 2015 Eva from Château Le Pey – This tasting reminded me that Petit Verdot plays an important part of many blends. This particular wine is unusual in that it includes 25% Petit Verdot, but it works extremely well thanks to some careful winemaking. 2015 Tournefeuille La Cure – A great Lalande-de-Pomerol from 50-year old vines that seemed to effortlessly take in the 100% new oak. Just 2,000 bottles made. Imported by Petit Pois Inc.
2015 Château du Cros – I will be getting “serious” with Sauternes over the coming months. In the meantime, check out this delicious, Sémillon-driven Loupiac courtesy of the Boyer family. Imported by Calvert Woodley, Washington, DC.